Artoo-Detoo (R2-D2) shipped on all cards from the STAR WARS 12 back to the The Empire Strikes Back 48 back. It overlapped its replacement Artoo-Detoo (R2-D2) (with Sensorscope) on The Empire Strikes Back 47 and 48 back card. Comments: Artoo-Detoo (R2-D2) clicked with the first Star Wars fans when he came out in 1978. 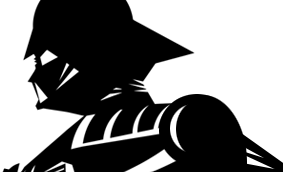 No, really, he clicked? He may not look as movie accurate as any of his modern counterparts, but many vintage collectors will agree, with his clicking head and stickered details, Artoo-Detoo (R2-D2) is one of the coolest figures Kenner ever made. 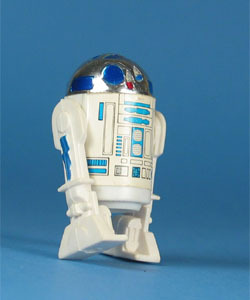 Major Variations: Though all vintage figures have minor variations, Artoo-Detoo (R2-D2) has no major variations.